This month we actually got around to seeing Zootopia. We liked it but I have to say besides having animated talking animals there is nothing too kid about it. The humor and story line are definitely adult. However it was a good movie. This tin goes along with all the kids favorite characters. 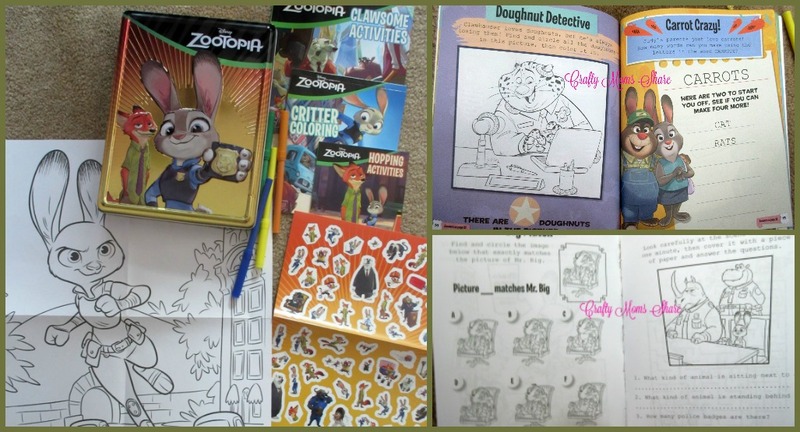 Inside there is a double sided poster to color, a coloring book, two activity books, stickers and markers. It has everything one needs to try some of the activities and the activities are educational. There are ones like finding words out of the letters of the word Carrots or counting and comparing numbers as well as matching and finding differences and more!! 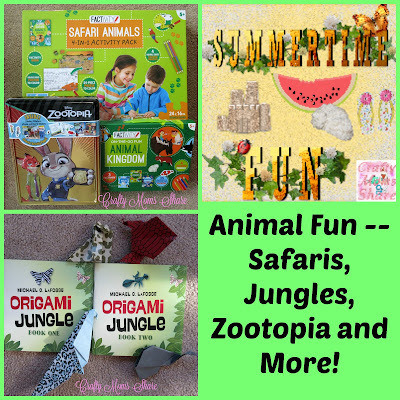 It is full of fun learning activities and coloring all in a fun tin. 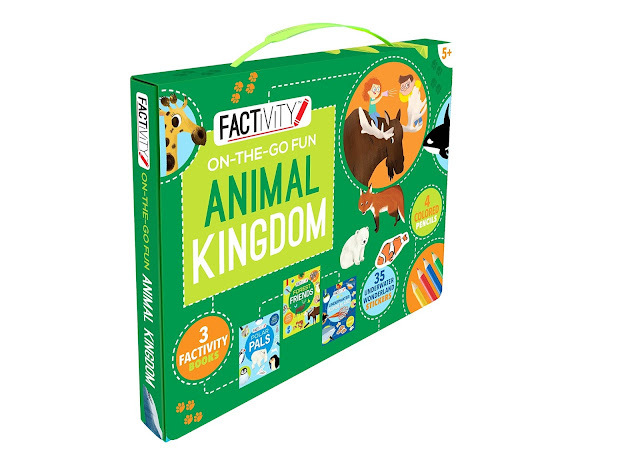 Our second kit is Factivity: On-the-Go Fun Animal Kingdom. This kit comes with three activity books, stickers and colored pencils all in a neat reusable box with a handle. 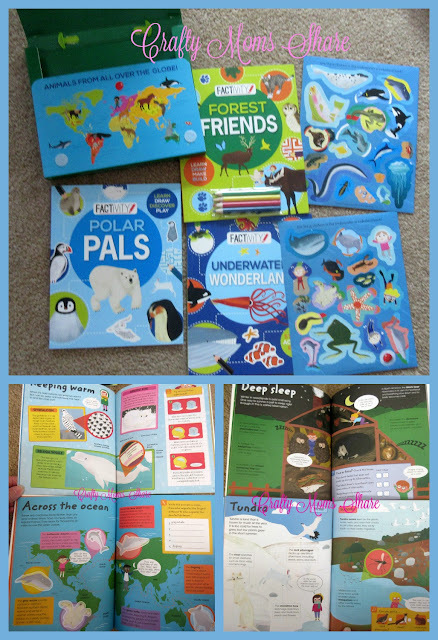 These activity books give information about the animals from the polar region, forests and underwater. The stickers go along with the Underwater Wonderland book. 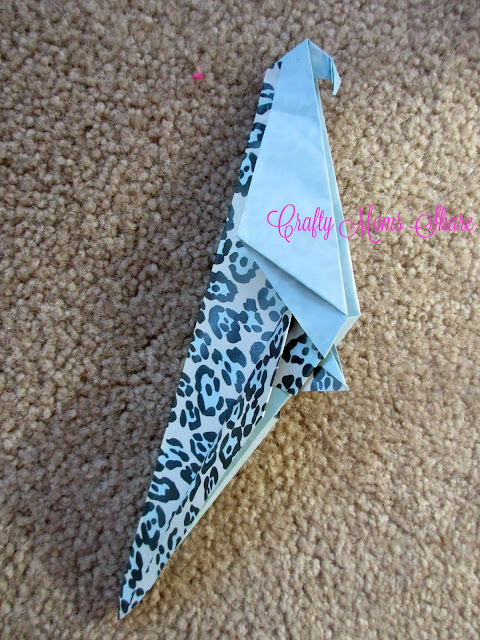 The pages in the books share information and then have an activity to quiz or learn more. 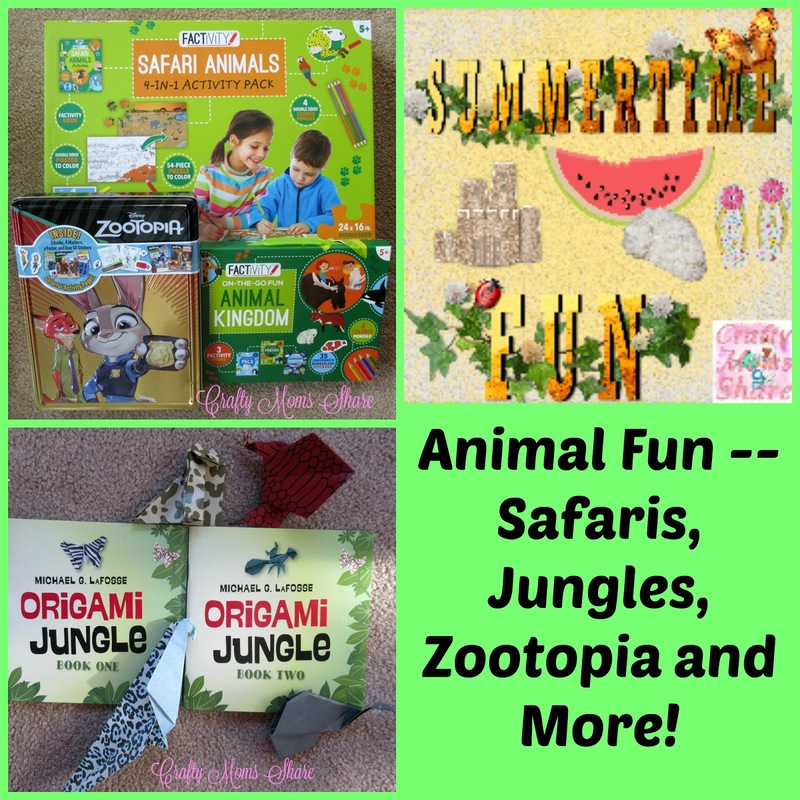 It is the perfect kit for roadtrips and airplane rides or visits to a doctor's office or some other place your child will need to be entertained. 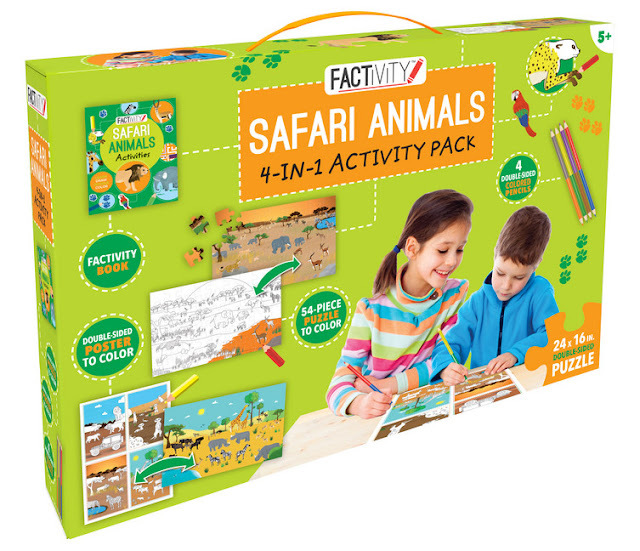 Our next kit is Factivity: Safari Animals 4 in 1 Activity Pack. 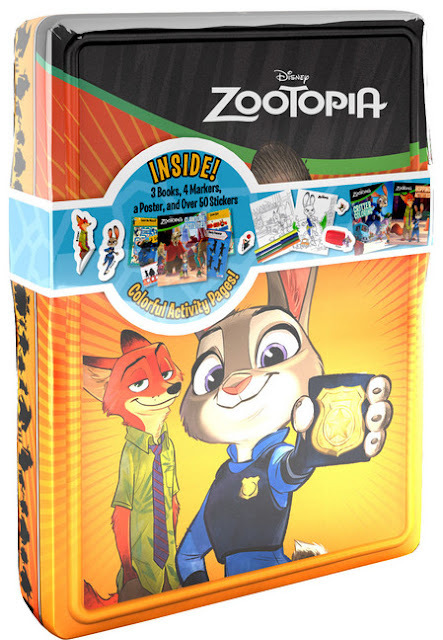 This pack comes with a double sided puzzle and poster (each has one side to color), and an activity book as well as double-sided colored pencils. The activity book is similar to the previous ones as they are part of the same series. 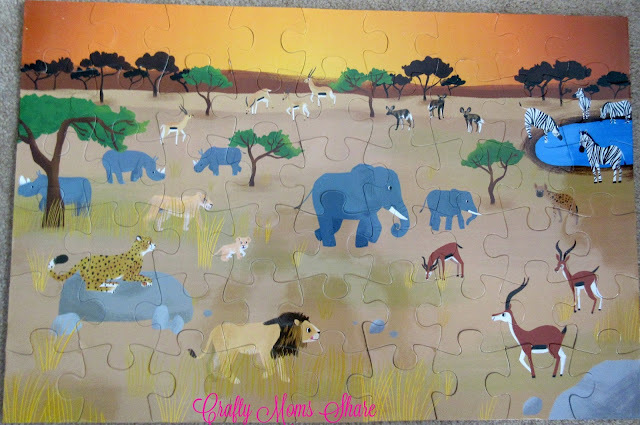 The puzzle is fun and one side is colored and the other is the black and white outlines for the child to color. This kit is not as easy to travel with as a whole, but the book certainly is. 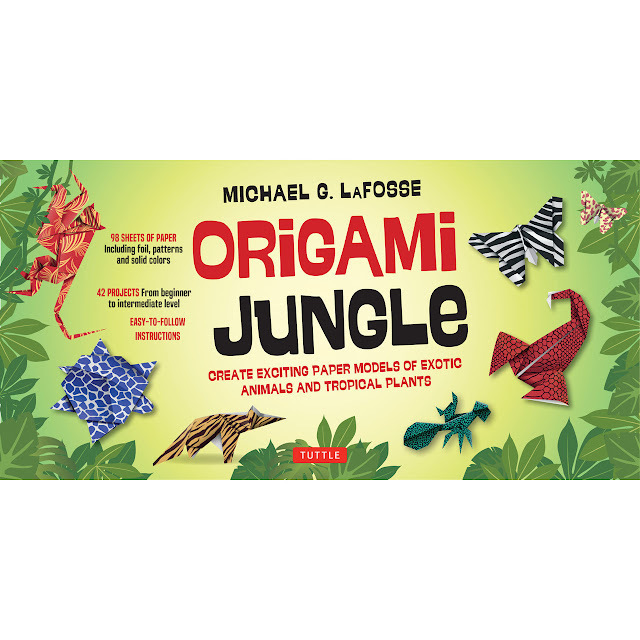 To go along with our safari activities is Origami Jungle Kit by Michael G. LaFosse. 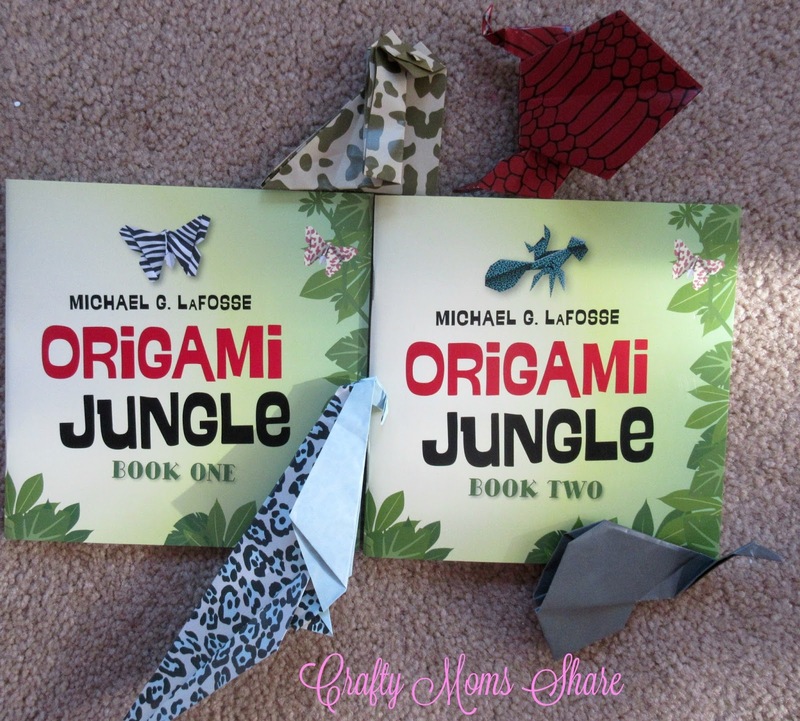 Like his other origami kits I have recently shared, this kit comes with two small instruction books and origami sheets to try out the projects. This kit comes with papers that are colored like animal skins. I made the elephant head using the back of one of the papers. 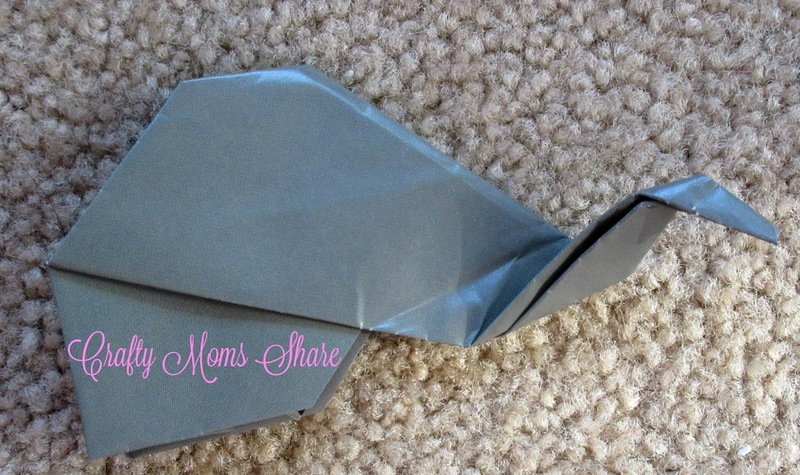 If you like making origami be sure to check out the Wildlife Conservation Society's 96 Elephants attempt to break the Guinness World Record of origami elephants on display and see how you can help! 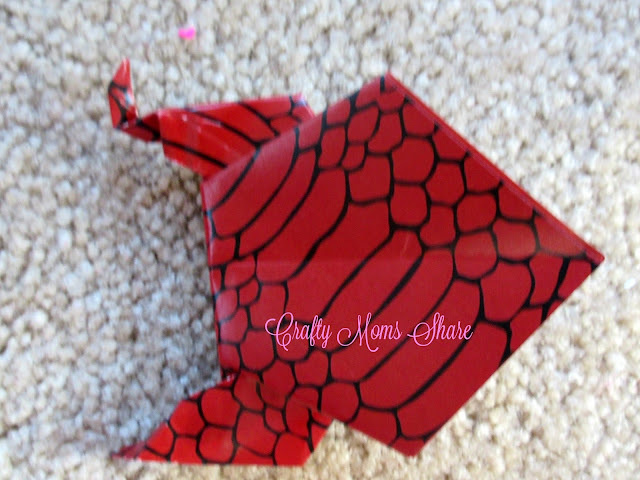 They have four tutorials on different styles of elephants. I also made the macaw and the panther cub. 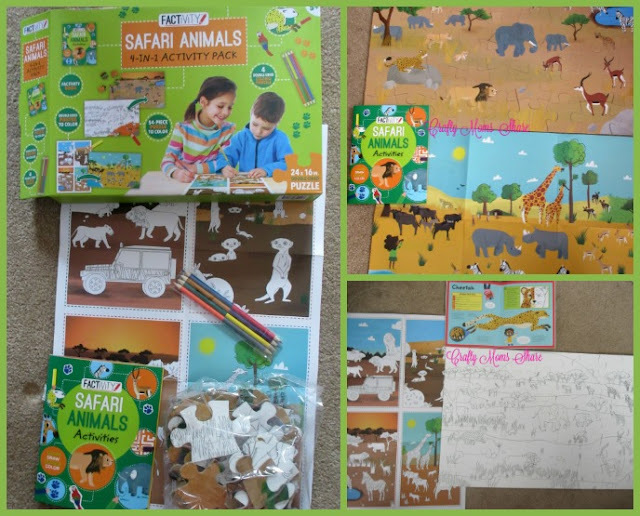 We have been having lots of fun with these animal kits!! How are you ending your summer?